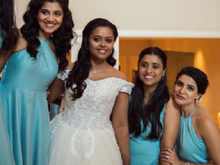 Kajal Aggarwal, Tamannah, Manjima Mohan and Parul Yadav have been part of the Queen movie remakes in their respective languages. Ramesh Aravind is directing the movie in Kannada, Tamil and we hear even in Malayalam too. But for Telugu Awe director Prasanth Verma took over after Neelakanta left the film. The movies are finally getting ready for release and the makers want to release all four on the same day in different languages. 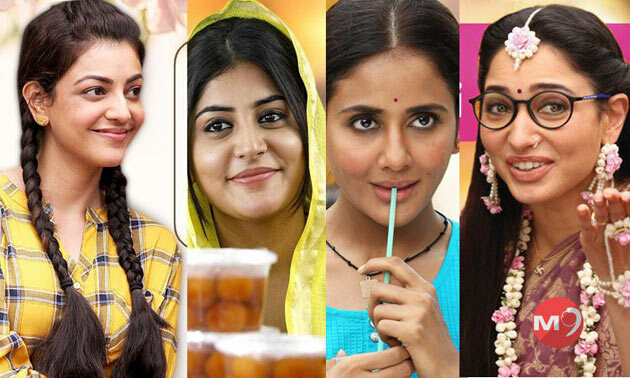 Makers released the first look posters of each actress from their respective versions. Manjima looked decent from Malayalam version, Parul looked beautiful from Kannada version. Kajal from Tamil stunned everyone and she is the best among the actresses who portrayed same character. Tamannah's look from the Telugu version is weird and laugh worthy. She is getting trolled for the worst possible look she could ever imagine.